From the smallest of gigs to the grandest of stages… today you’ll find the acoustic guitar player comfortably at home. But this wasn’t always the case. For an acoustic instrument to be heard by a larger audience, it had to be amplified. Modern technology has given us plenty of solutions, with active electronics, pickups and preamps a common feature on the instruments. They can now be plugged in and amplified, and have found their way onto the stages of rock bands and larger acts, side by side, with their electrified counterparts. If you’re playing at a venue with a PA system, or a front-of-house mixing console, a DI box is a worthy investment. A DI (“direct input”) box lets you connect your instrument in to the mixing console. It takes the guitar signal and converts it to a balanced, low-impedance signal similar to that of a professional mic. DI boxes can range from simple, ¼” input and XLR outputs, while others, have features like a graphic equalizer and ground lift. Best of all, they’re compact and will fit nicely into the pocket of your gigbag. 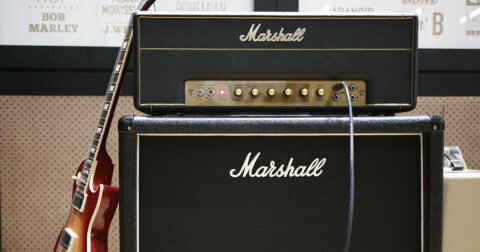 A great choice if you’re playing at a smaller venue or busking by the side of the street, an acoustic amp is essentially a small PA system at your fingertips. Most acoustic amps will have an EQ section that lets you dial in your tone and a second channel to plug in your microphone for vocals. Some even have an onboard effects section so you can add in reverb, delay or modulations. They find themselves on bigger stages as well, some amps have DI outputs that allows you to run it straight to the PA, and it can double up as a handy stage monitor. 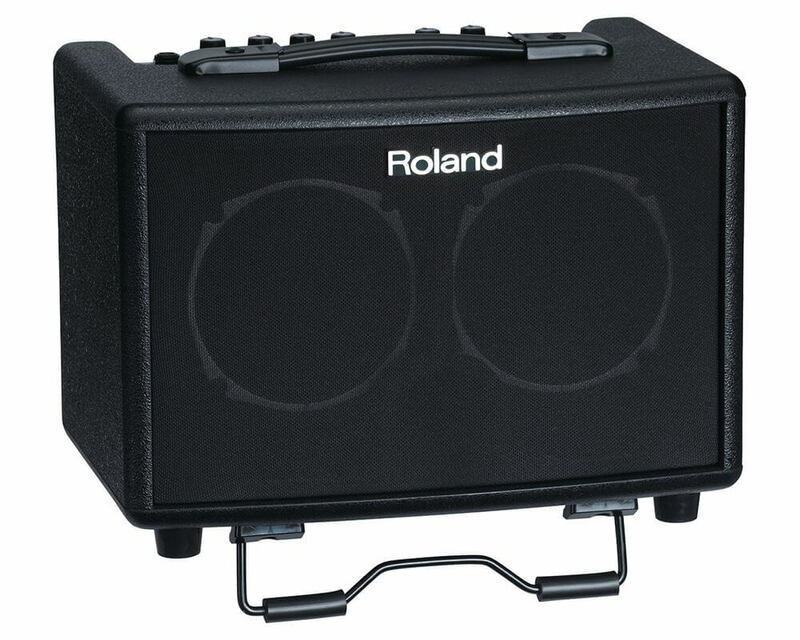 Portable, battery powered acoustic amps like the Roland AC-33 work well for street performers or those looking to bring around their sound. If your guitar doesn’t have onboard electronics or pickup, the only way to get your sound amplified is to mic it up. In the studio, micing up your acoustic guitar captures its sound in its most pristine form. Conditions are completely different on stage, you don’t get the isolation of a studio, and you don’t have the freedom to move about on stage. We don’t recommend this unless absolutely necessary, or if sitting on a bar stool is an acceptable part of your act. While not a must have, pedals give players options to shape their tone further. 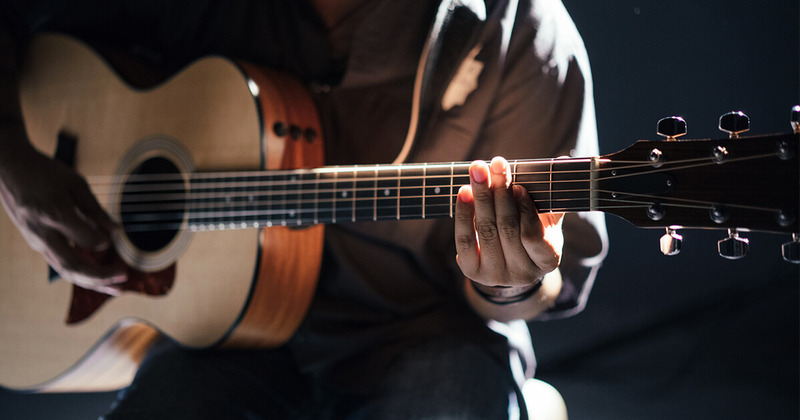 Effects like compression, reverb, equalizers are popular amongst acoustic guitarists. 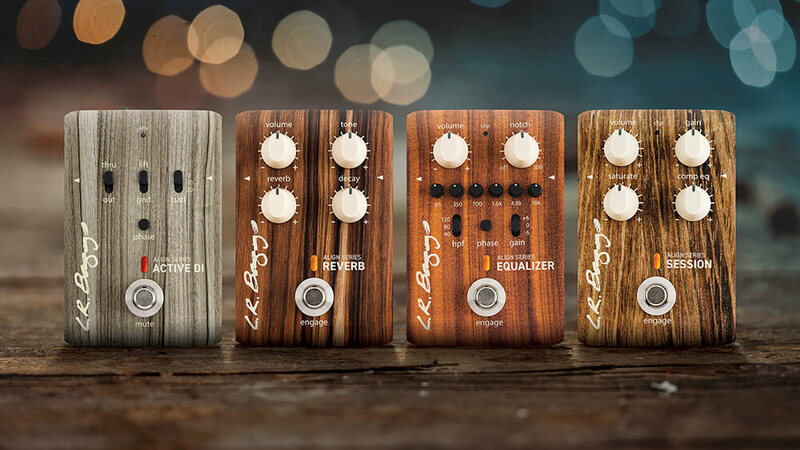 LR Baggs – renowned for their acoustic guitar pickups, microphone systems, and preamps – has released a new suite of pedals, tailored specifically for the gigging acoustic guitarist. The new Align Series consists of an active DI Box, a reverb, an equalizer, and a compression and saturation pedal. The Active DI boasts features like a volume pad for matching the XLR signal to the PA, a ground lift switch to get rid of annoying ground-loop noise and a silent mute footswitch so you can switch between guitars silently. The Active DI has buckets of headroom to spare, all while preserving the authenticity of your sound. The Reverb adds lush, ambient sounds while retaining the original tone of your instrument no matter what settings it’s at. 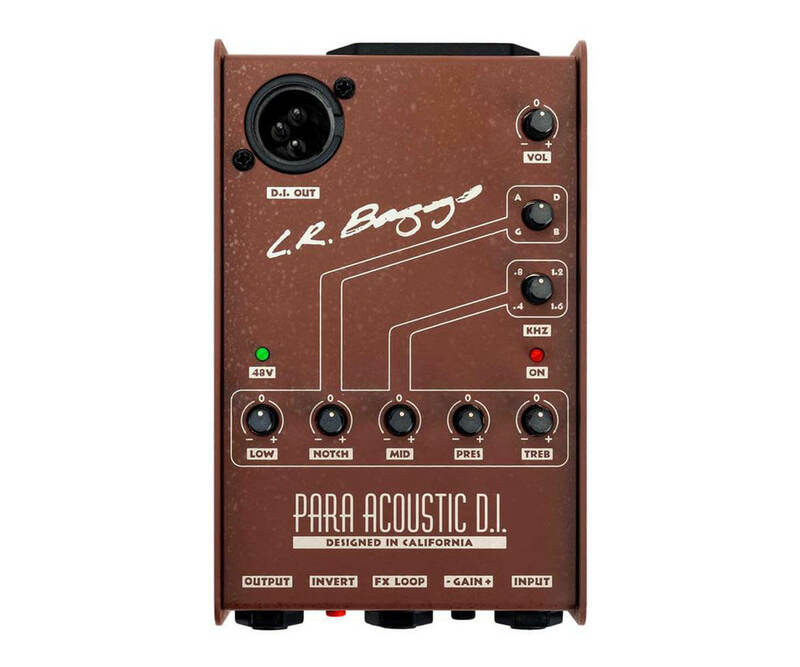 It’s not like generic reverb pedals – LR Baggs has delivered a reverb truly fitting for an acoustic guitar. The Equalizer is based on their esteemed Para Acoustic DI, with a 6-band EQ shaping the frequencies most useful for improving acoustic guitar pickups. Great for electric-acoustic guitars with basic or no EQ controls, the Equalizer acts as a preamp that lets you sculpt your tone for any situation. The Session is a compressor and gain pedal in a box. 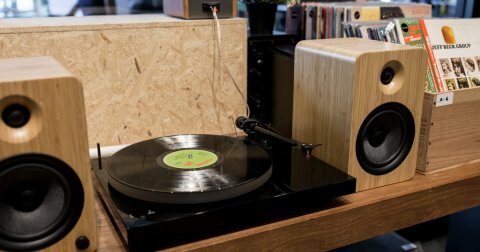 It transports the sonic characteristics of playing in a studio with an audio engineer fine-tuning your sound into a compact pedal, ready to use onstage or in the studio. It just makes everything sound bigger, better, letting you focus more on your playing. Swee Lee is now the proud distributor of LR Baggs products. To try the Align Series of pedals, head down to our flagship store at The Star Vista and give them a try, with your own guitar, or with any acoustic guitar we have on our walls.